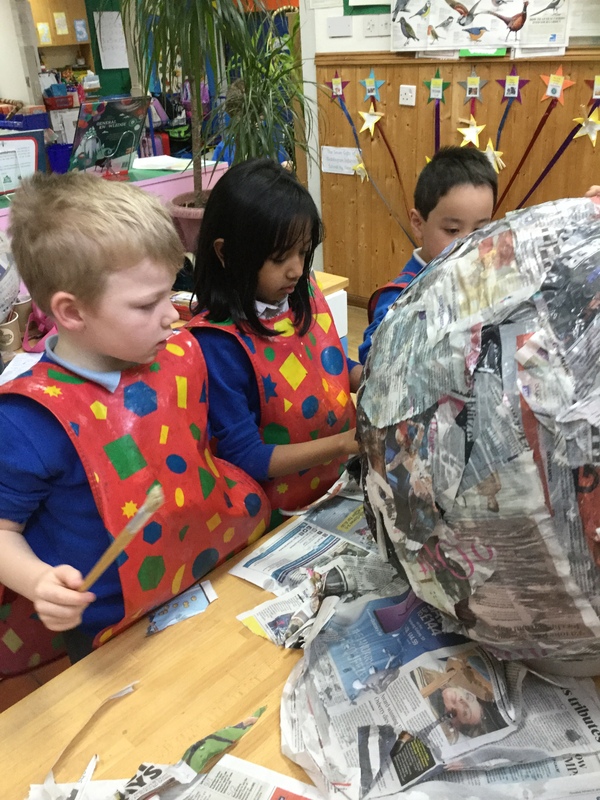 The children made the planets from paper-maiche. 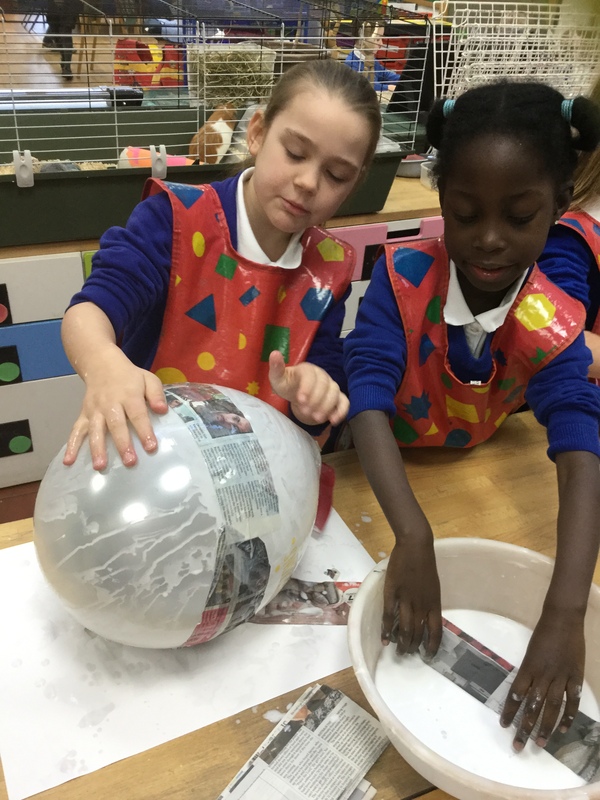 Covering balloons with strips of newspaper which had been dipped in an glue mixture. 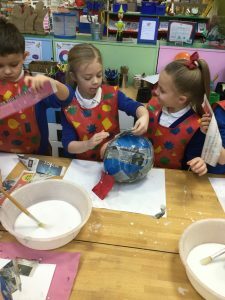 It was lots of fun. 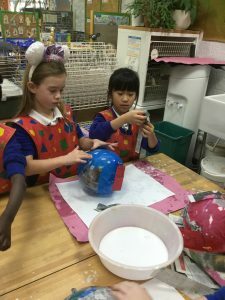 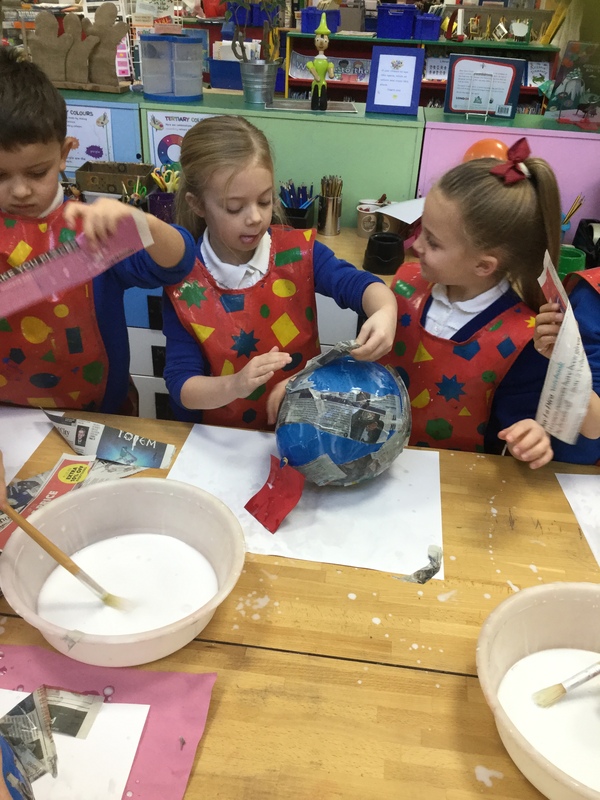 After leaving the spheres to dry the children painted them and they were then hung from the ceiling to create Year 2’s very own Solar System. 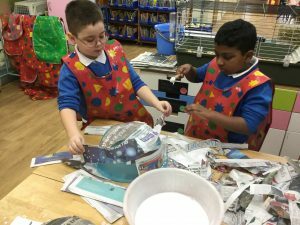 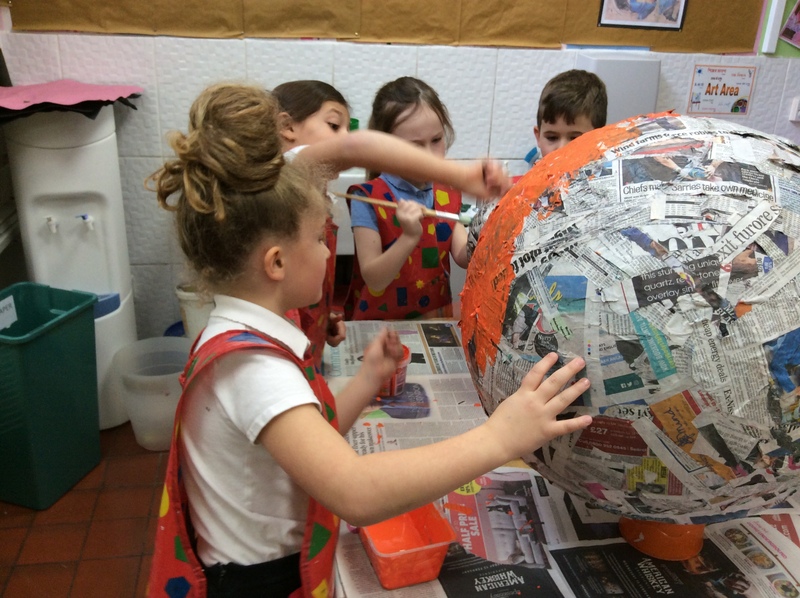 Making one of the gas giants.